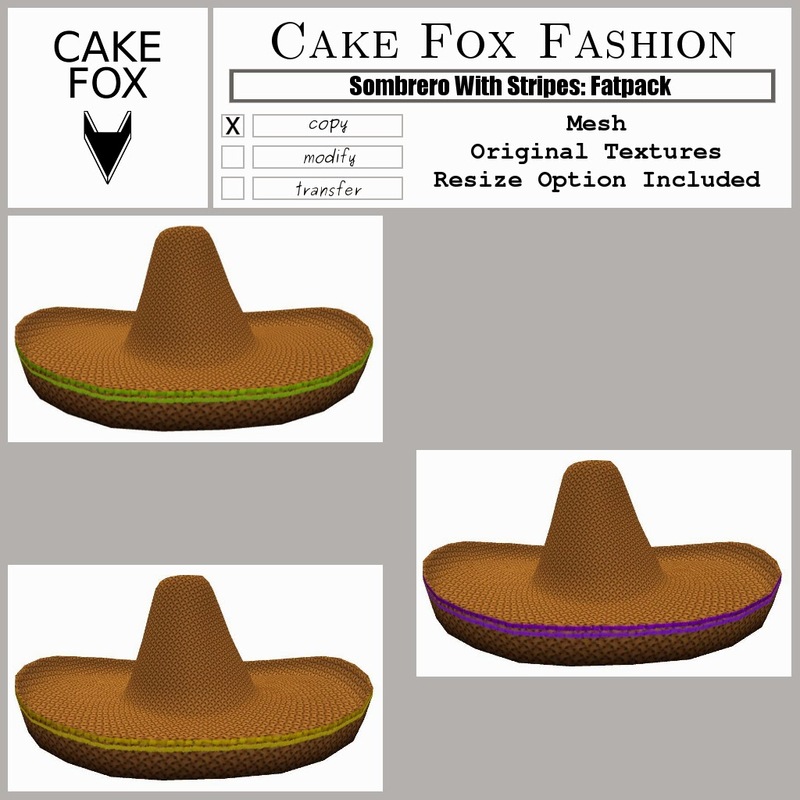 New release: Cake Fox Fashion Sombrero With Stripes Fatpack up for SWAG this weekend for only 50L$. Buy from the swag vendor downstairs or you will not get the discount. (Upstairs you will find the fatpack and the individual hats for normal price). I adjusted the hats on a regular avatar but you only need to lift them a bit for tiny or dinkie, and they do come with resize options. 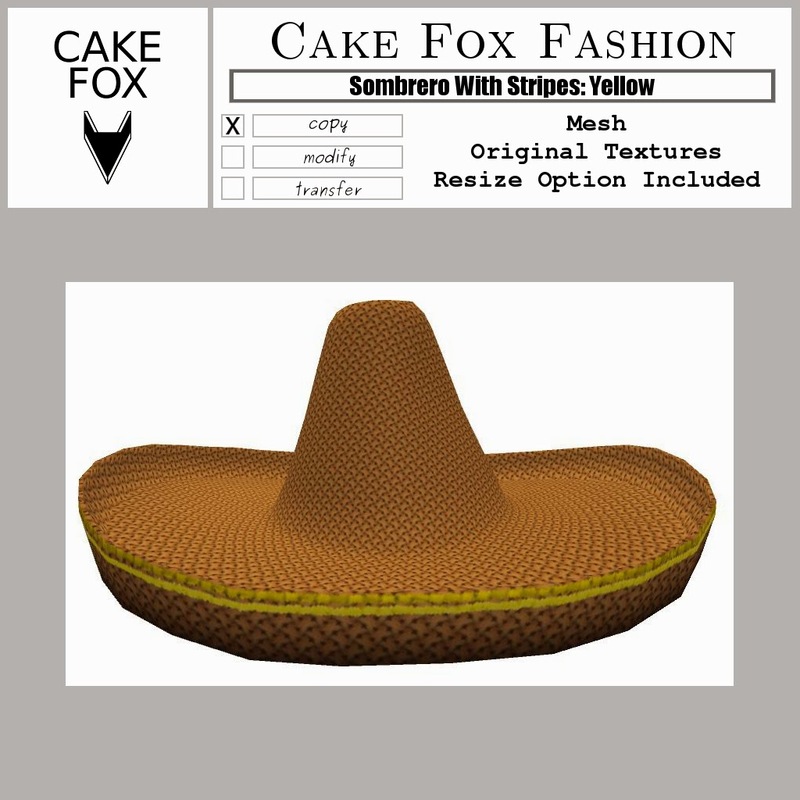 Get them at Cake Fox Mainstore. Enjoy! The hats are also available separate for regular price upstairs.